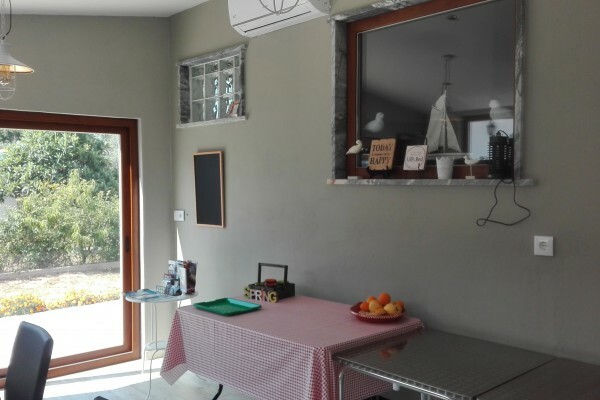 B&B Quinta Laranjal da Arrábida offers 4 comfortable, quiet guestrooms with a double bed with private bathroom, and an attractive lounge with a fireplace and a swimming pool in a spacious garden. 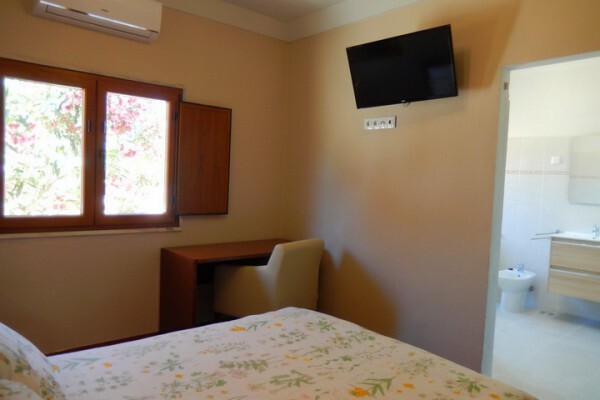 Each room has air conditioning (cooling & heating), TV, fixed internet connection and adjoining bathroom. Free wifi is available everywhere. You can park on our fenced domain. At breakfast, local products and products from our own garden are served. 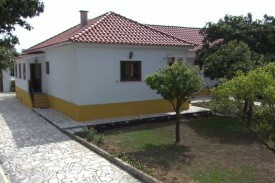 The B&B is situated at the edge of the Serra da Arrábida, on 2,5 km from Palmela. On the way to the center of Palmela you will find some restaurants and wineries (adegas). We are located 48 km south of the Lisbon airport and are easily accessible via one of the two impressive bridges over the Tagus. 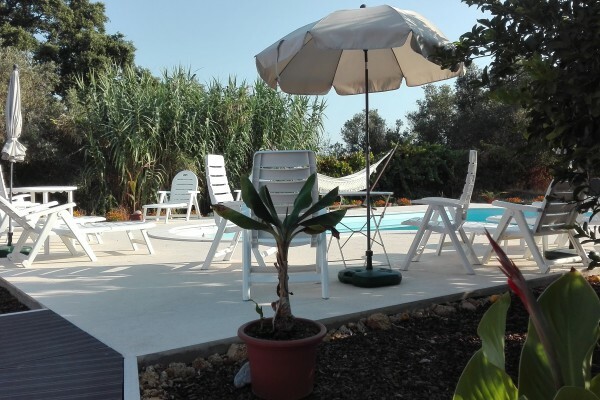 Stay in a quiet quinta with a view of the mountains, surrounded by olive groves and not far from the beautiful beaches. There is a lot to discover and experience in our region (see photo gallery). The photos speak for themselves. The wine lover comes into his own because of the many wine producers who are present in our region. The region is also known for its cheeses, of which the "Queijo de Azeitão" is the best known. And with the Atlantic Ocean very close, fresh fish is at the top of the menu alongside other delicious food and drinks. No experiences yet with B&B Quinta Laranjal da Arrabida. Be the first! Did you stay in B&B Quinta Laranjal da Arrabida? Let us know what you thought about it and help others to make the right choice! * I confirm having stayed in B&B Quinta Laranjal da Arrabida. 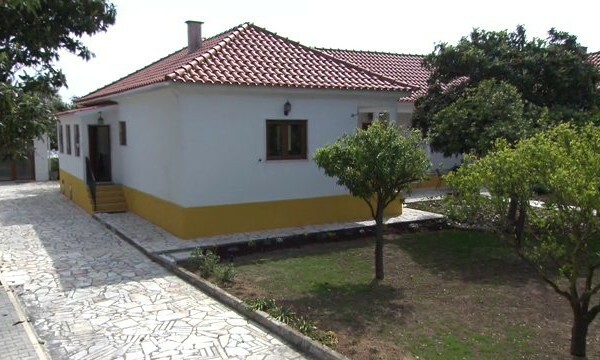 Find other bed & breakfasts in Palmela or all bed & breakfasts in Lisbon Region.